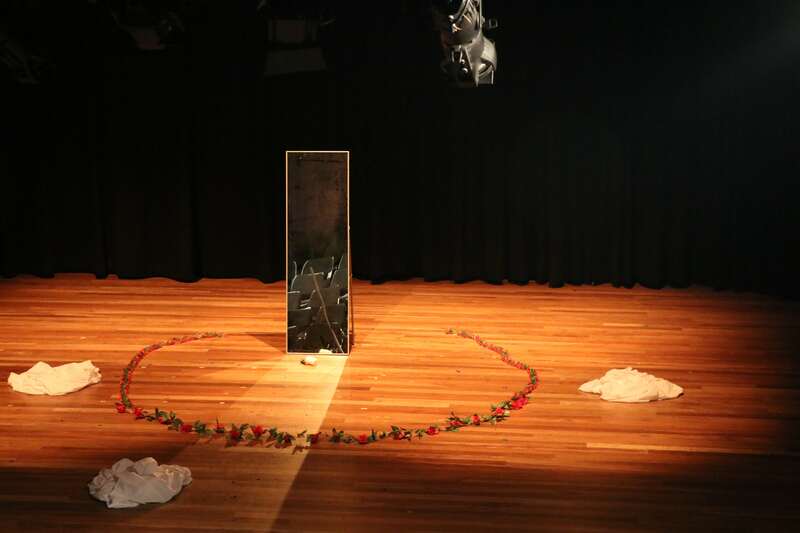 The Hedda Project was one of the strands that made up the inaugural Vanguard Theatre Festival, from October 24th to October 26th this year at The University of Queensland (UQ). Under the leadership of Dr Chris Hay, a lecturer in UQ’s Drama Department, first year students were given the task of working with the Norwegian classic Hedda Gabler by Henrik Ibsen. The project involves having first year students interrogate the play, culminating in the students devising and performing their own interpretations of the text. Dr Hay says this is done for the purpose of allowing students to engage in elements of the performance in experimental way, whilst building critical competences such as taking ownership of material. Hedda was chosen as the play because it’s malleable and can withstand the types of variations the students were interested in making. “It is also important to me to have a female protagonist for this task, given our students spend an alarming amount of their time studying plays written by men about men,” Dr Hay said. Rebecca Pfingst performed in what was perhaps the most memorable iteration of Hedda in the Vanguard Festival. “The opportunity to present a classic like Hedda Gabler was challenging but ultimately it was an invaluable experience,” Ms Pfingst said. Ms Pfingst described the project as providing her with an outlet for innovation and experimentation, and said there was a responsibility to refresh but support the central meaning of the play. The performances provided valuable experience to first year students, and were incredibly popular amongst the audience.